Entered 29 events during the 2011 season featuring playoff victories at the HP Byron Nelson Championship and the PGA Championship. Four top-10 finishes. Ranked 20th on the final FedExCup points list and 13th on the Official Money List with $3,758,600. Entered 19 events during the 2011 season featuring victories at the World Golf Championships-Accenture Match Play Championship and the Childrens Miracle Network Hospitals Classic. Led the TOUR with 14 top-10 finishes including a playoff loss at The Heritage. Ranked third on the final FedExCup points list and first on the Official Money List with $6,683,214, earning the Arnold Palmer Award. Earned Byron Nelson Award and Vardon Trophy for lowest adjusted scoring average. Entered 27 events during the 2011 season featuring a victory at the TOUR Championship by Coca-Cola that clinched the overall FedExCup title. Seven top-10 finishes, including playoff losses at the Bob Hope Classic and The Greenbrier Classic. Ranked first on the FedExCup points list and seventh on the Official Money List with $4,088,637. Entered 26 events during the 2011 season featuring victories at the Wyndham Championship and a playoff victory at the Deutsche Bank Championship. Twelve top-10 finishes, including playoff losses at the Zurich Classic and The McGladrey Classic. 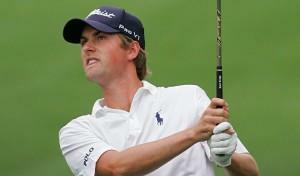 Ranked second on the FedExCup points list and second on Official Money List with $6,347,353. 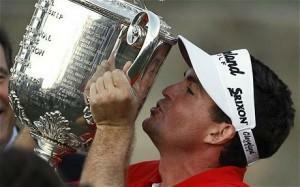 Entered 23 events during the 2011 season featuring victories at the WGC-Cadillac Championship and the AT&T National. Had a total of 10 top-10 finishes. Ranked ninth on the final FedExCup points list and finished third on the Official Money List with $5,290,673. Who do you think will win the award this year and why? Thanks for the consolidated stat info. Just by reading the info here, I don’t see how it does not go to Luke. 14 top 10’s in 19 events is UNREAL! In my opinion, it will probably go to Luke. BUT, wouldn’t be surprised to see Keegan take it with how he played late in the year and with the winning of a Major. I would have to cast my vote for Luke Donald as well. He played in less events, won two, had more top 10 finishes, and won the most money. He’s the epitome of consistent. Really tough one this year though, there’s some great candidates on that list. My choice would be L. Donald based on the 14 top 10 finishes, tops on the money list as well as the lowest scoring average. He had a wonderful golf season and the Player of the Year award will be a fitting end for him. The prize has to go to Luke. WS did a great job of pushing him all the way though! Luke deserves it, but that’s not to take anything from Simpson’s great year. Just don’t see it going to anyone except LD, great years by all but he had the best of the bunch IMO. I’d like to see Keegan get it, but Luke’s number of top tens and being first on the money list makes him a shoe-in. No doubt Keegan gets ROY. There’s no doubt that this award belongs to Luke Donald. Luke Donald, no question. Led both tour money lists! Something even Tiger never did.